With seasons and hemispheres upturned, our faithful #TEAMSITA spent a full week in this historic South African city. 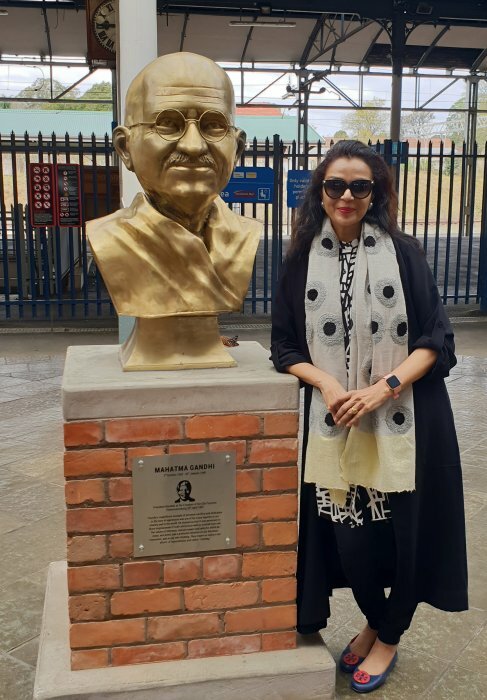 Replete with references to Mahatma Gandhi and Nelson Mandela, we had a chance to visit many of the sites that triggered my country's independence movement and influenced South Africa's destiny. With 1 million Indians making up 25% of the city's demographic, I saw Indians everywhere! Dressed in saris even as I exited the airport, silks, shiny crystal dipped georgettes, bling shoes, hair in various tiers of curls and clips- I had to look around to confirm that I had actually left T Nagar! Verbal Diarrhea ! Most of your observation are self serving . You will praise people who are of use to you and put down the ones that do not kiss you...we know that all your concerts in the USA are due to your subtle coercion. None of your production so far make any sense.